Daring Greatly is not about winning or losing. It's about courage. In a world where "never enough" dominates and feeling afraid has become second nature, vulnerability is subversive. Uncomfortable. It's even a little dangerous at times. And, without question, putting ourselves out there means there's a far greater risk of getting criticized or feeling hurt. But when we step back and examine our lives, we will find that nothing is as uncomfortable, dangerous, and hurtful as standing on the outside of our lives looking in and wondering what it would be like if we had the courage to step into the arena—whether it's a new relationship, an important meeting, the creative process, or a difficult family conversation. 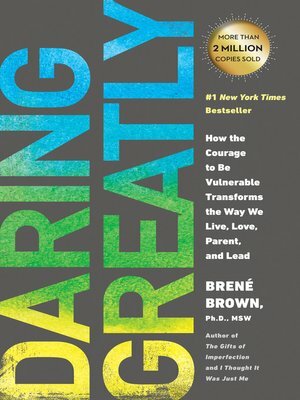 Daring Greatly is a practice and a powerful new vision for letting ourselves be seen.